I tried the blueberry and it tasted very delicious. It is undeniably a great snack for cottage cheese lovers. It’s a great source of protein and the flavors paired well. I would love to try the strawberry flavor next! 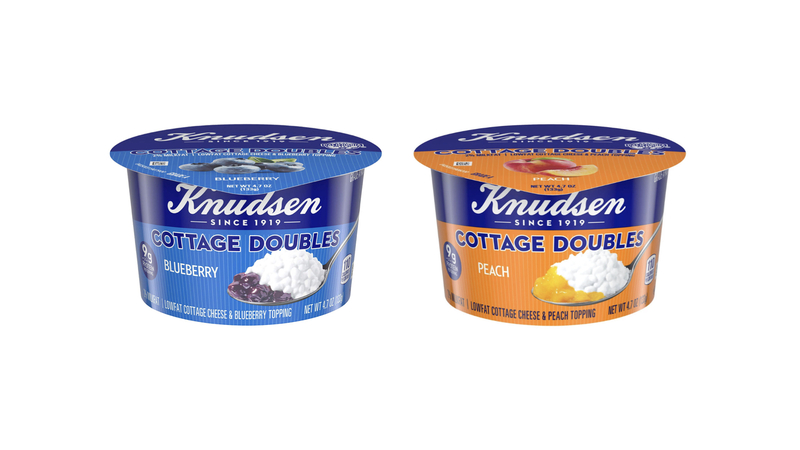 I would suggest trying all flavors because the cottage cheese does not overpower and the fruit mixes perfectly. This is definitely a great snack to grab and go. I was in and out of the store in less than 5 minutes. It’s the perfect portion to give you that filling boost you’re looking for. Erica on The Benefits of Cottage Cheese. . . I think the health benefits of cottage cheese are very functional when it comes to nutrition. Protein and potassium are vital to fuel you throughout the day. My experience with Knudsen Cottage Cheese has been outstanding due to it coming in handy as a great pre-workout source of fuel. I highly suggest grabbing a cup or two whenever you’re on the go or just needing a quick snack to pair with your lunch.